A majority of both Republicans and Democrats believe that police officers should be required to wear small video cameras while on duty, according to a new poll. The Washington Post/ABC News poll of 1,000 randomly selected persons also saw different races in near agreement of the proposed requirement. 86 percent of whites, 92 percent of blacks, and 86 percent of Hispanics said they support such a requirement. The debate over officers being required to wear the cameras has been fueled by a series of situations where officers’ actions have come into question, including the deaths of Eric Garner and Michael Brown. The new poll comes after a CBS News poll of 1,122 adults nationwide earlier this month also found broad support across political ideologies and races. “There is near unanimous support (91 percent [of all respondents]) for on-duty police officers wearing video cameras,” CBS noted. The polls come after a recent study found that body-worn cameras on police officers reduced the use of force by roughly 50 percent. The study, by the University of Cambridge’s Institute of Criminology, took place over 12 months in Rialto, California. Dr. Barak Ariel, the lead author, also told Newsweek that complaints against police decreased 90 percent compared with the previous 12 months. “This is a promising tool for police officers, which is likely to be a game changer not only for the professionalization of policing, but in terms of police-public relations,” said Ariel, an assistant professor at the Institute of Criminology at Hebrew University in Jerusalem and a lecturer in Experimental Criminology at the University of Cambridge. The Rialto police department serves roughly 100,000 people over a jurisdiction of 28.5 square miles. Officers were assigned randomly to wear cameras and tell members of the public that interactions were being filmed, or be part of the control group that did not wear cameras. 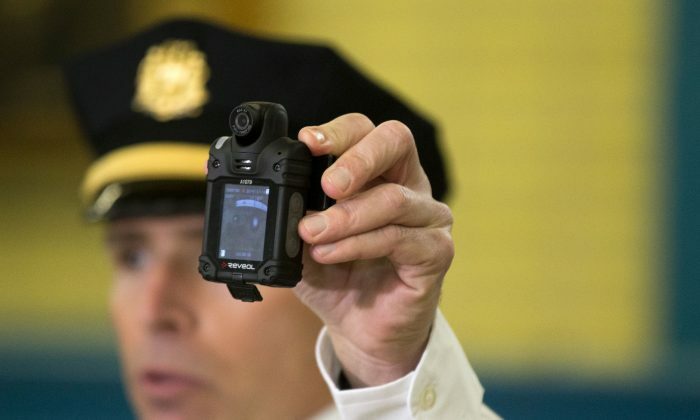 “With institutionalized body-worn-camera use, an officer is obliged to issue a warning from the start that an encounter is being filmed, impacting the psyche of all involved by conveying a straightforward, pragmatic message: we are all being watched, videotaped and expected to follow the rules,” said Ariel. The Department of Justice added in an October report that benefits of wearing cameras include strengthening police accountability by documenting incidents and encounters between officers and the public, preventing confrontational situations by improving officer professionalism and the behavior of people being recorded, and improving evidence documentation for investigations and prosecutions. 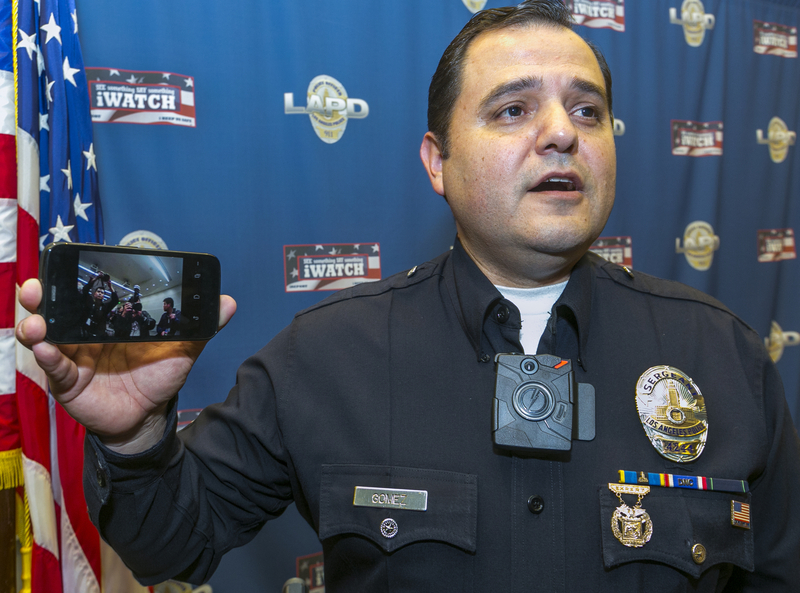 But Chuck Wexler, executive director of the Police Executive Research Forum, noted in a later report that police departments must draw up thoughtful and transparent policies in order for body cameras to work properly, a view shared by the American Civil Liberties Union, which approached 30 large police departments using cameras but was only able to get clear policies from five of them. 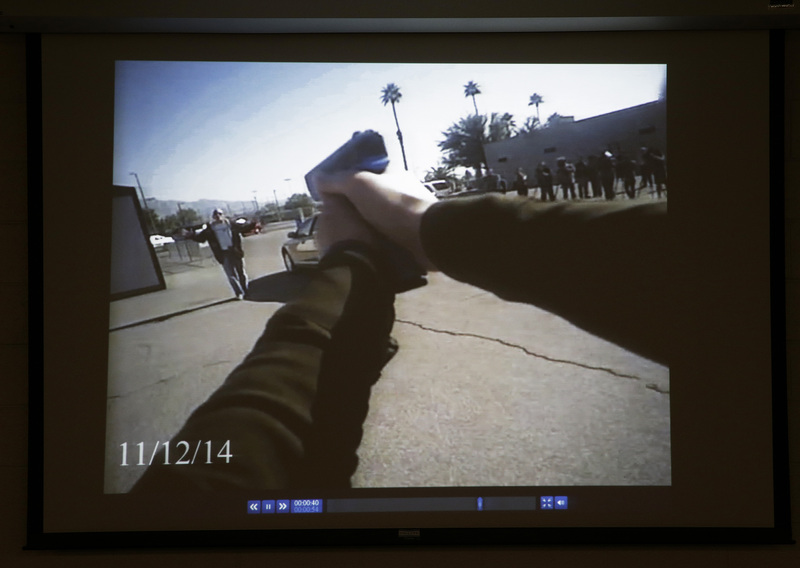 And Charles Katz, a criminologist at Arizona State University who has conducted research on a body camera test program at the Phoenix Police Department, warned in an interview with Newsweek that body cameras aren’t the ultimate solution to problems. He also noted some of his findings, such as an increase in arrests when officers wore a camera. In any case, departments across the country are experimenting or planning to experiment with the cameras, including the Miami police department with the help of the University of South Florida, and New York City. President Barack Obama proposed a three-year, $263 million investment package in early December that includes $75 million for increasing officers’ use of body worn cameras. The number of law-enforcement officers killed by firearms jumped by 56 percent this year , but gun-related police deaths still remain far below historic highs.